Synopsis: The year is 1945. Claire Randall, a former combat nurse, is just back from the war and reunited with her husband on a second honeymoon when she walks through a standing stone in one of the ancient circles that dot the British Isles. Suddenly she is a Sassenach—an “outlander”—in a Scotland torn by war and raiding border clans in the year of Our Lord . . . 1743. Hurled back in time by forces she cannot understand, Claire is catapulted into the intrigues of lairds and spies that may threaten her life, and shatter her heart. For here James Fraser, a gallant young Scots warrior, shows her a love so absolute that Claire becomes a woman torn between fidelity and desire—and between two vastly different men in two irreconcilable lives [x]. Review: I’m so happy I bought most of the books in these series and gave them a go! This has to be one of my favourite series. It contains so many amazing elements: time travel, Scotland, historical fiction, and romance. The research that Gabaldon put into her story is fantastic. Everything is realistic. The writing is wonderful. I can’t recommend this book enough to those who haven’t read it. This entry was posted in book review, books, outlander. Bookmark the permalink. Great review, Danica! 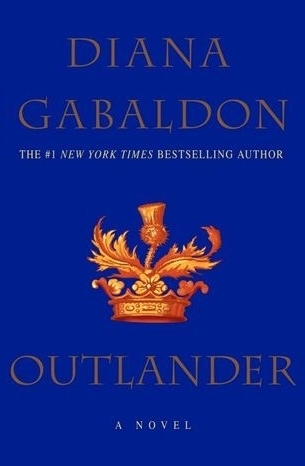 It's been years since I read Outlander but I still love it and it still remains one of my favorite books. I read the next 3 or 4 after that but I'm still behind on the series. I need to get on that! Great review! Can't wait to get my hands on this series, all I keep hearing are really good things about it! Nice review! I've been meaning to read Outlander for a while now and your review has definitely pushed it up my TBR. I LOVED THIS BOOK!!! And also the series (and also, I mean Sam Heughan!!! ).